Besides the well-known proven and esteemed quality production programme of Klöcker particularly new products enjoying growing popularity with various applications. We are very pleased that Klöcker Bros. could engage a new representation in Spain. 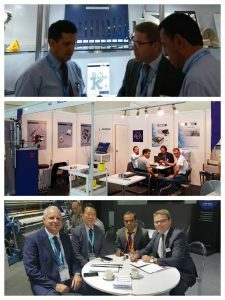 After having successfully started with the intensive year of trade fairs 2018 in Indonesia and Turkey in spring 2018, the company Klöcker now continued with its ambitious trade fair programme.